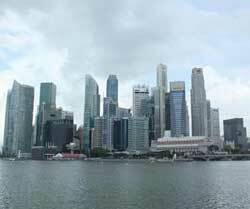 For the first time, the number of high net worth individuals (HNWIs) in the Asia-Pacific Region has surpassed counterparts in the North American region, according to the 2012 World Wealth Report, released Wednesday by Capgemini and its new partner, RBC Wealth Management. The number of HNWIs, classified with having investable assets of US$1 million or more excluding other assets such as primary residence, collectibles, consumables, and consumer durables, rose by 1.6% to 3.37 million in 2011, beating their North American counterparts with a population of 3.35 million HNWIs. Global HNWI population edged up slightly while aggregate investable wealth declined. After witnessing robust growth of 8.3 % in 2010, global HNWI population grew marginally by 0.8 % to 11.0 million in 2011. Most of this growth can be attributed to HNWIs in the $1-5 million wealth band, which grew 1.1 % and represents 90 % of the global HNWI population. In contrast, global HNWI wealth in 2011 fell by 1.7 % to US$42.0 trillion (compared with 9.7 % growth to US$42.7 trillion in 2010). The HNWI population country ranking saw South Korea replace India for the 12th position, while the top three countries, U.S., Japan and Germany, retained 53.3 % of the total share of HNWIs, slightly up from 53.1% in 2010. Of the top twelve countries by population, Brazil saw the greatest percentage age rise (6.2 %) in the number of HNWIs.